The urban layout of Cracow, an outstanding example of medieval architecture, is based on four core areas: the center, around the market square; the Wawel, the hill inhabited since the Palaeolithic and the site of the imperial palace; the urban district of Kazimierz; and the Stradom quarter. The historic center of Cracow, the former capital of Poland, is situated at the foot of the Royal Wawel Castle. The 13th-century merchants’ town has Europe’s largest market square and numerous historical houses, palaces, and churches with magnificent interiors. Further evidence of the town’s fascinating history is provided by the remnants of the 14th-century fortifications and the medieval site of Kazimierz with its ancient synagogues in the southern part of town, the Jagellonian University, and the Gothic cathedral where the kings of Poland were buried. Stare Miasto is the old city, characterized by the rigid grid of perfectly orthogonal streets, the layout ordered by Boloslaw the Chaste in 1257 when he decided to unify the various peoples scattered around the hill of the Wawel. All that remains now of the medieval enclosure walls is the gate and the little wall that was built in 1499 near the main city gate. Krakow is a beautiful city. You can really tell the difference between Krakow and Warsaw when you see both cities close up. The newness of the Warsaw old city is much more evident once you compare it to Krakow. 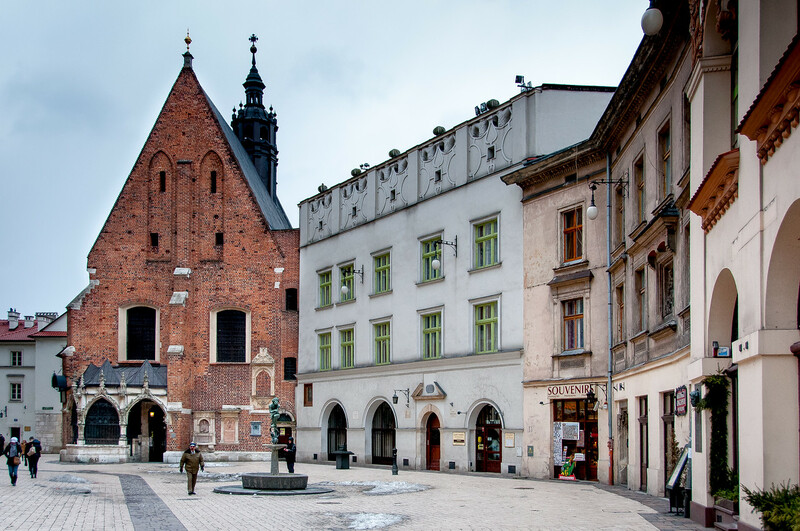 As with the old parts of many European cities, the old city of Krakow is a tourist district. There are plenty of restaurants, souvenir stores and horse-drawn carriages. I’ve had many other travelers recommend Krakow to me and I can heartily pass along the recommendation. Not only is Krakow itself a UNESCO Site, but there are four more within a 40km radius of the city. 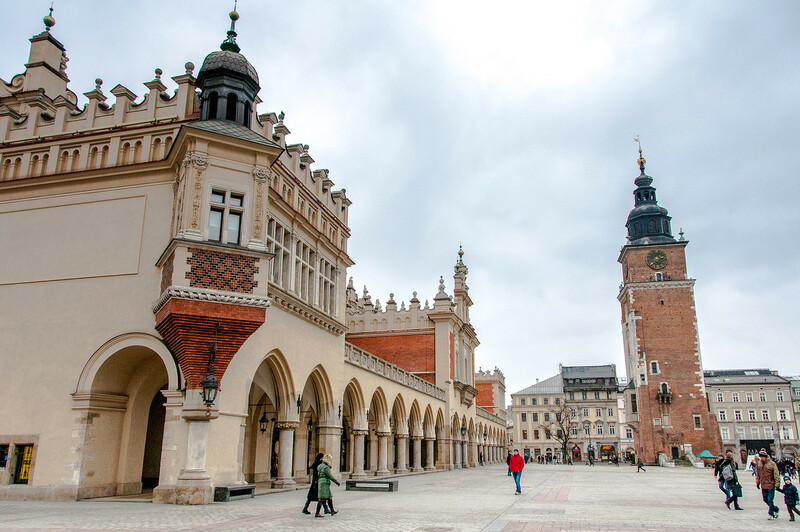 Cracow’s Historic Center is a cultural site recognized as one of the UNESCO World Heritage Sites in Poland. This historic center is recognized for having the largest market square in Europe. There are also several medieval buildings and structures within the historic center that have been impressively preserved. The city of Cracow (also known as Krakow) was founded in 1257. It is located in southeastern Poland. 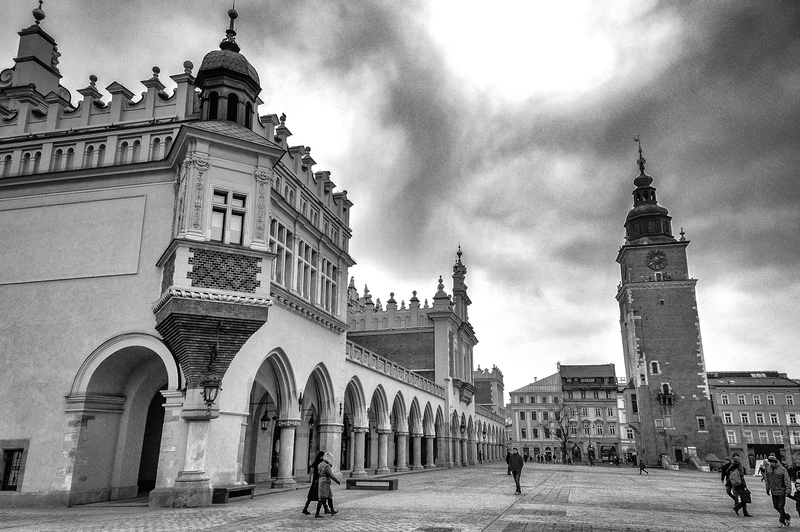 The town square that forms the heart of Cracow’s Historic Center was also built on the same year that it was founded. The level of preservation for this medieval European and urban landscape is part of the reason why it earned recognition from UNESCO. Before 1609, Cracow was the capital city of Poland. After that year, it was moved to Warsaw, another UNESCO World Heritage Site in Poland. This splendid city is rich in culture and history. It is located on the foot of the Royal Wawel Castle. In the 13th century, it was known as a merchant’s town. This is evidenced by the rich array of shops and merchant buildings in the market square. This is primarily a medieval town with fortifications and medieval structures. The only surviving fortification that is still standing today is the Barbican; meanwhile, there are also fragments of other city walls that are left such as those from the Joiners’ Towers, St. Florian’s Gate, and the Haberdashers’. The Planty Park was constructed in the same site as the former city walls and moats during the 19th century. This park is laid out to encompass the oldest district in the city of Cracow. Aside from the 14th-century fortifications and city walls, there are more structures and buildings that support the rich and long history of Cracow’s Historic Center. The Main Market Square forms the central identity of the city, particularly the Sukiennice. This part of the market square consists of a clothing hall that is composed of several shopping stalls. 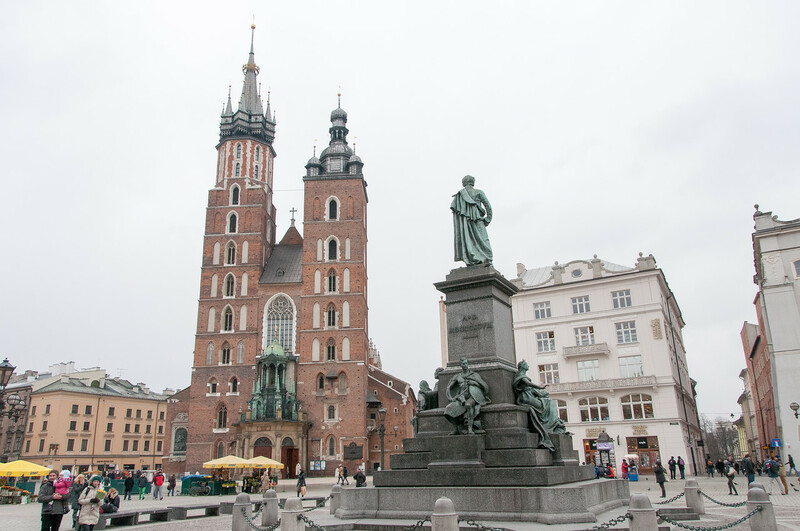 Aside from the shopping stalls, you will find the following notable structures in Cracow’s Historic Center: Jagellonian University, medieval Jewish district of Kazimierz, Church of St. Adalbert, and St. Mary’s Church. Wawel Royal Castle: This castle served as the royal home for three Polish monarchs. The castle features stately halls, exquisite chambers, and a massive collection of artworks and rare ancient objects. 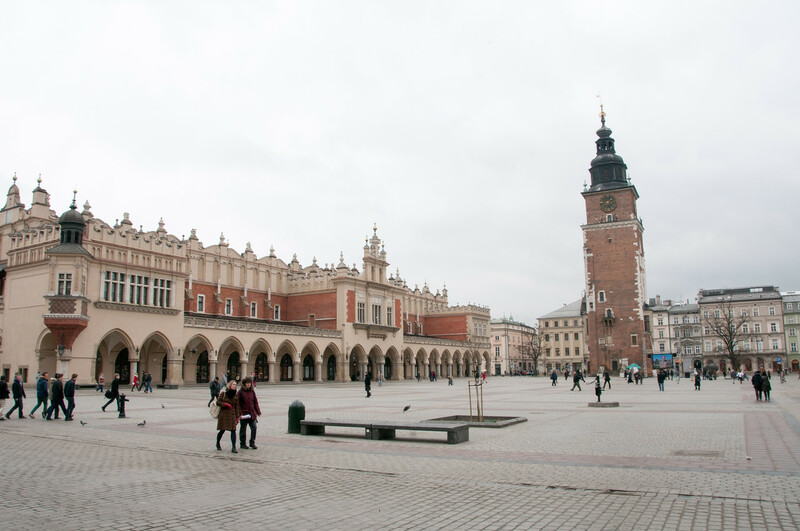 Grand Square: This is the central square in Cracow’s Historic Center. It is also considered as Europe’s largest plaza and known for its spectacular landmarks. This remains the commercial and tourist hub in the city since the 13th century. Wawel Cathedral: This serves as one of Poland’s national shrine and is most recognized for its giant bell. It is among the world’s largest church bells. Many of the Polish royal family members were buried in this cathedral. Town Hall Tower: This is Cracow’s own version of the leaning tower. This was built at the end of the 1200s. Great Barbican: This is one of the major forts and city walls in Cracow. It is over 500 years old and is one of the best examples of medieval military engineering. Cloth Hall: This is the oldest shopping mall in the world as it has been around for 700 years! City Walls: This serves as the main city gate for Cracow. It has been around for 700 years. It is connected to the adjoining towers and city walls. Krakow is very cozy town, we liked it more than Warsaw. Gary, thank you for your series about UNESCO – it’s very interesting! I love Krakow, even if it has become a bit more touristy than a few years ago, it retains that authentic charm.